Appellate Court Wanted To Encourage Global Settlement Offers From Plaintiffs To End Litigation Against Multiple Defendants. In Gonzalez v. Lew, Case No. B271312 (2d Dist., Div. 3 Feb. 1, 2018) (published), both sets of plaintiffs’ heirs sued the owner of a rented home when a fire engulfed the rented home in which two people (wife of husband who was renting the home and son of husband by a different woman who was also living in the house) died. Both sets of plaintiffs made a CCP § 998 joint offer to house owners to settle both claims for $1.5 million, with no apportionment. The jury later awarded the wife’s heirs more than $2.2 million and daughter’s heirs just over $357,000. The trial judge found the 998 offer valid, awarding expert witness fees and other costs. House owners appealed, principally arguing that the joint offer did not allow them to evaluate each claim independently. The appellate court affirmed, engaging in an exhaustive survey of the cases on joint settlement offers under section 998, unallocated joint settlement offers made to multiple parties, and unallocated joint settlement offers made by multiple parties. After observing that the jurisprudence is somewhat diverse and driven by the particular circumstances of the litigation/offers/end results, the 2/3 DCA panel decided to side with cases encouraging plaintiffs with disparate claims to make a global settlement offer which would put an end to the litigation at hand (working out the details among themselves). BLOG OBSERVATION—This opinion may be a candidate for California Supreme Court review, given that many cases have found joint offers invalid based on defense inability to apportion and that many cases have developed “unity of interest” exceptions to 998 invalidity arguments. However, 4/2 DCA Denied Expert Witness Fees To Unsuccessful FEHA Plaintiff Rejecting CCP § 998 Offer, Parting Company With Contrary Results By 1/5 And 4/1 DCAs. We have to say that 2018 has started out with a bang, producing a decision by the Fourth District, Division 2 acknowledging it is parting company from the approach taken by two other DCAs on whether CCP § 998 gives a right to expert fee costs-shifting even though the underlying FEHA claim was found nonfrivolous in nature. Arave v. Merrill Lynch, Pierce, Fenner & Smith, Inc., Case No. E061677 (4th Dist., Div. 2 Jan. 2, 2018) (partially published; fees/costs discussion published) involved a plaintiff suing under FEHA for discrimination, harassment and retaliation based on LDS church membership as well as under Labor Code section 218.5 (wage/hour violation) and the whistleblower statute. Either through summary judgment or trial, plaintiff lost all of his claims after a jury defensed him on claims escaping pre-trial adjudication. The defense (both the company and some affiliated individuals) moved to recoup $1,203,225.06 in fees, apportioning $200,537.60 to the wage claim (1/7th of total fees) and the remaining $1,002,607.96 to the FEHA claims. The trial judge denied fee recovery under FEHA based on her feeling that the claims were not frivolous (given plaintiff survived a summary judgment motion on these claims), but did not buy into the 1/7th apportionment on the wage claim. After some more apportionment, the lower court awarded $97,500 in fees to the defense on the Labor Code section 218.5 wage claim, although not making any finding whether it was frivolous in nature. With respect to “routine” costs, the defense sought $84,017.68, with the trial judge striking a small amount and awarding $83,642.68—broken down as $54,545.18 in ordinary costs and $29,097.50 in expert witness fees. The expert witness fees were based on plaintiff’s rejection of a 998 offer as to all claims (including FEHA claims), which he did not beat. The trial judge determined that even though the FEHA claims were not frivolous, section 998 pre-trial settlement principles effectively overrode the situation based on First District authority in the Holman decision. She did not expressly rule on entitlement to expert fees under the unsuccessful wage claim given making no determination of whether it was or was not frivolous. The fee and costs award got reversed and remanded on appeal, but on interesting grounds. Fees Award. This award got reversed and remanded because the lower court did not determine if the wage claim—the only basis for fee entitlement after the appellate court affirmed the nonfrivolity determination on the FEHA fee entitlement basis—was frivolous or not. Without this finding, the fee award could not stand. Ordinary Costs Award. Obviously, under Williams (a California Supreme Court case we have posted on frequently and our Leading Case No. 16), the ordinary costs award of $54,545.18 was improper because the trial judge determined that the FEHA claims were not frivolous. However, that did leave room to argue that they might be justified based on the wage/hour claim, so a remand was in order on this issue. Expert Witness Fees. $29,097.50 in expert witness fees were awarded based on the trial judge’s perception that plaintiff’s rejection of the 998 offer took precedence over the FEHA frivolity “no award” scenario. The appellate court disagreed, finding that the FEHA frivolity precept overrode 998 in a situation where fees were not otherwise unavailable under the FEHA statute. (The 4/2 DCA was careful to note that the rejection of a 998 offer could be considered in situations where FEHA expert fees were allowable in the absence of a “no frivolity” determination.) In doing so, it expressly departed company from contrary determinations by the 1/5 DCA (Holman) and 4/1 DCA (Sviridov). However, it did remand for the trial judge to determine if expert fees were allowable based on the wage claim fee-shifting statute given no ruling on whether the action was frivolous under this section (possibly requiring apportionment of fees if the trial judge decided that the wage claim was frivolous). Court Of Appeal Reversed, But On A 2-1 Vote. In one of our likely last posts for 2017, we enter into the area of ethics as far as disqualification of an attorney in an action relating to a CCP § 998 offer. Miralda v. Heng Sheng, Inc., Case No B282158 (2d Dist., Div. 1 Dec. 29, 2017) (unpublished) involved a situation where a former employee sued her ex-employer for wage/hour and unfair business practices violations. After some interesting email exchanges about employee’s immigration status, employee served a 998 offer for $45,000, with employer returning it but interlineating it to accept the offer after changing the $45,000 number to $4,500. Of course, plaintiff former employee’s counsel balked and filed a motion to disqualify employer’s counsel based on the “fraudulent” section 998 conduct. The trial judge granted the disqualification, based on ethical violations by employer’s counsel. The disqualification was reversed in a 2-1 decision. The majority found that plaintiff suffered no cognizable harm based on employer attorney’s conduct, meaning that no disqualification was in order. Presiding Justice Rothschild authored the majority decision. However, in dissent, Justice Chaney found no abuse of discretion because employer counsel’s conduct undermined and would continue to undermine the judicial process in her opinion. Plaintiff Was Not An “Aggrieved Employee” For PAGA Standing Purposes. In Kim v. Reins International California Inc,., Case No. B278642 (2d Dist., Div. 4 Dec. 29, 2017) (published), plaintiff alleging both individual and class action wage/hour violations (including a PAGA claim) accepted a CCP § 998 offer and dismissed his individual claims with prejudice. The issue on appeal is whether he could continue prosecution of the PAGA claim. Both the trial and appellate courts answered “no,” because he was not an “aggrieved employee” for PAGA standing purposes. Defendants’ Alleged Indigent Status And Insurer Excess Liability Factors Were Inconsequential, And Technical Argument On 998 Acceptance Line Formatting Rejected. Although unpublished, Hackett v. Silva Trucking, Inc., Case No. C076745 (3d Dist. Nov. 22, 2017) (unpublished) is an interesting analysis of factors which were not properly considered when the defense rejected 998 offers in a personal injury case where the plaintiffs far eclipsed their 998 offers to the two defendants. What happened here is that plaintiffs made $12.5 million separate 998 offers to two defendants, both rejected, with the jury later awarding plaintiffs more than $34 million in damages where the defense admitted negligence and causation. Even later, the trial judge awarded plaintiffs $339,467 in costs based on them being the successful parties under the 998 offers. Defendants appealed, but to no avail. In a nuanced spin-off argument, the defense argued it was unreasonable for plaintiffs to reject their 998 offers because plaintiffs should have known that excess insurers might be liable for amounts exceeding policy limits. The Third District did not buy this argument either, essentially saying that defendants must evaluate offers objectively regardless of whether the insurer would end up paying in excess of policy limits. There is an interesting discussion of Aguilar v. Gostischef, 220 Cal.App.4th 475 (2013) on the excess insurer liability concern, which came to the same conclusion in a different context. Last, but not least, the defense argued that the 998 offers were procedurally infirm because both had language saying defendants must file any acceptance with the court. The problem is that the statute does not mandate who has to file the acceptance, such that this language was not offending with respect to the validity of the 998 offers. $118,271.74 CCP § 998 Exposure Avoided By Losing Minor. K.F. v. Los Angeles Unified School Dist., Case Nos. B276410/B277982 (2d Dist., Div. 2 Nov. 9, 2017) (unpublished) reiterates lessons for crafting a successful CCP § 998 offer, especially how one must be careful in asking for narrow releases and waiver of claims to insure a section 998 offer is valid. Suing plaintiff minor lost a sexual assault bus claim against the school district, triggering a request for recovery of costs (mainly expert witness fees) based on school district’s rejected $50,000 998 offer made two years before plaintiff’s unsuccessful trial. The trial judge agreed with district, allowing recovery of post-998 offer of expenses to the tune of $118,271.74. This costs determination was reversed on appeal. Decision Held Section 998 Cost-Shifting Prevailed Over FEHA/POBRA Limitations. On July 28, 2017, we posted on Sviridov v. City of San Diego, Case No. D069785 (4th Dist., Div. 1 July 28, 2017 unpublished). We now can report that this opinion was certified for publication on August 15, 2017. It decided that CCP § 998 cost shifting policies allowed for an assessment of costs against a losing plaintiff despite the existence of FEHA and POBRA cost limitations. Policies Of Both FEHA Cost Shifting And 998 Cost Shifting To Be Considered By Trial Courts, But 998 Resolution Policies Prevailed In This One. Sviridov v. City of San Diego, Case No. D069785 (4th Dist., Div. 1 July 28, 2017) (unpublished) is an interesting case where a terminated police officer failed to beat several Code of Civil Procedure section 998 offers in a matter involving FEHA and Public Safety Officers Procedural Bill of Rights Act (POBRA) claims. The trial judge awarded defendants City of San Diego and San Diego Police Department $90,387.28 in costs based on the rejected 998 offers. Plaintiff appealed, arguing “you can’t do that” because costs are not awardable under FEHA unless the action is deemed frivolous and in bad faith (citing Williams v. Chino Valley Independent Fire Dist., 61 Cal.4th 97, 99 (2015)) and under POBRA unless the action is frivolous (citing Government Code section 3309.5(d)(2)). The appellate court upheld the trial judge’s costs award. It found that the policies of both FEHA and section 998 were worthy of consideration, but that the 998 resolution-oriented policies prevailed in this situation. With respect to the POBRA statutory section, there was ending language indicating that it was not an express exception to other provisions such as routine costs statutes or section 998, with 998 winning out in this particular case. General Rule Was Not Applicable Because “Unity Of Interest” Exception Applied. Dispute Focused On Tenant’s Ability To Use Common Areas Behind Lease Premises. Landlord/tenant disputes can be expensive from fee expense and fee award perspectives, as Muzzi v. Bel Air Mart, Case No. C073684 (3d Dist. July 3, 2017) (unpublished) demonstrates. In this one, landlord had to bring a “coercive” declaratory relief action against a commercial tenant based on winning a prior action in which tenant was only allowed to use common areas behind its store for loading/unloading purposes only. Tenant perceived it could stage storage of equipment for many hours, with landlord then pursuing the second action. The jury found a trespass but found no harm, with the parties stipulating to a later $1.00 in nominal damages, and the trial judge subsequently entered a permanent injunction to enjoin tenant conduct other than loading/unloading activities. Landlord had turned down a small $1,500 CCP § 998 offer. Later, the trial judge awarded landlord $324,533.50 in attorney’s fees as the prevailing party under Civil Code section 1717 (based on a broadly-worded contractual fees clause). Landlord was the prevailing party given the trespass and permanent injunction wins (especially the permanent injunction win to enforce the earlier victory), especially in light of the fact that the lease clause allowed for recovery relating to any “remedy in connection with” the lease. With respect to tenant’s suggestion it was the winner based on the 998 offer, the appellate court agreed with the landlord and trial court: it was invalid based on ambiguity. The offer contained language about “storage,” but that was too amorphous given that tenant really wanted “staging” of operational equipment for hours on end. After All, 998 Plaintiff Offeree Did Receive Acceptance By Mail From Defense. 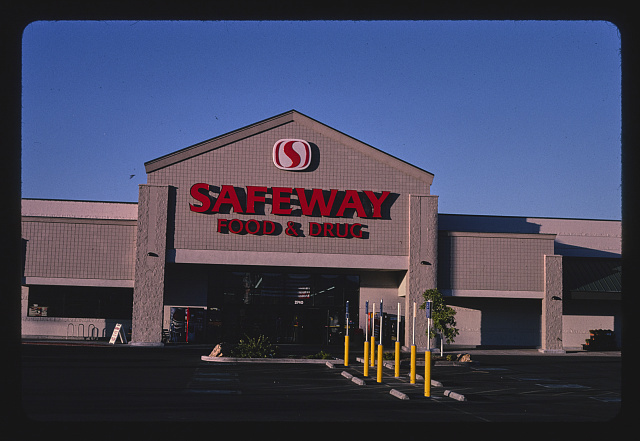 Safeway Food & Drugs. Photographer: John Margolies. 2003. Library of Congress. This next case, Lee v. Safeway Inc., Case No. A148301 (1st Dist, Div. 2 June 26, 2017) (unpublished), is interesting in the way both the trial and appellate courts confronted a 998 “acceptance” issue. In short, plaintiff in a vehicle injury case (only to the car itself) offered to settle pursuant to a CCP § 998 offer for $2,669.69, an offer which defendant accepted by letter. However, plaintiff’s 998 offer had this language: “If defendants accept this C.C.P. section 998 offer, please have their attorney of record sign below without any changes and return this offer to [counsel’s address] via FAX and First-Class U.S. Mail at [a specified address].) On the last day to do so, defendant’s counsel sent a letter signed by its attorney advising that defendant accepted the offer. Because counsel apparently did not get along, there some post-acceptance activities, with plaintiff taking the position that the letter acceptance did not comply with specific acceptance modes of both FAX and mail return. The trial court enforced the defense 998 acceptance of the offer, a determination affirmed on appeal. BLOG OBSERVATION—This case counsels that mandatory modes of acceptance of 998 offers need to be made in a way such that they are requirements and conditions to the validity of 998 pre-trial settlement process. We also believe the Court of Appeal was swayed by the fact that, while the defense 998 offer was outstanding, plaintiff advised defense lawyers that fax service was unacceptable—even though it likely only applied to post-activities in the case. Panoply Of Defense Arguments Rejected On Appeal. Plaintiff in Alexander v. Market Street Apartments, LLC, Case No. D070198 (4th Dist., Div. 1 June 23, 2017) (unpublished) accepted a CCP § 998 offer for $9,980 expressly allowing her to file a fees motion in a wage/hour dispute subject to a one-way favorable Labor Code fee shifting provision and in a case aggressively litigated by the defense in superior court (with mucho, mucho discovery). Plaintiff then removed to recoup $96,180 in fees after accepting the 998 offer, with the trial judge awarding her $93,270. The defense appealed, raising a host of arguments for reversal, none of which resonated. The appellate court determined: (1) plaintiff was the prevailing party by receiving a net monetary recovery and expressly reserved her right to receive fees of a mandatory nature under Labor Code section 226(e)(1); (2) this case was litigated as a superior court case such that limited civil case limitations on recovery were inapt; (3) plaintiff did not have to apportion fees expended for her husband’s work because the activities were inextricably intertwined with her case; and (4) her awarded fees were not grossly unreasonable given the defense decision to aggressively litigate the matter. The defense could not surmount the abuse of discretion standard of review on appeal. Case Teaches That 998 Offers Must Be Taken Seriously, With Appellate Court Rebuffing Multiple Technical Challenges To The Underlying Offers. Rempell v. Hofmann, Case No. A146257 (1st Dist., Div. 4 June 14, 2017) (unpublished) involved a husband and wife suing for personal injuries/loss of consortium against a defendant making two pre-trial Code of Civil Procedure 998 offers which were rejected. The first offer was for $175,000 and the second for $250,001. Unfortunately, a jury awarded husband only $26,775 in damages and wife nothing. The trial judge later awarded the defense $514,005.66 in 998 fee-shifting costs, a majority being expert witness expenses. Plaintiffs’ multiple challenges to the two offers failed on appeal. Specifically, this is what the appellate court ruled: (1) a minor misspelling of a party name did not invalidate an offer; (2) the defense timely serving an offer on the plaintiffs, albeit not timely serving plaintiffs’ counsel, did not void the offer; (3) the second offer did not extinguish the calculation of shifted costs running from the date of the first offer based on the challenge that the first offer was void, because such a proposition was rejected in Martinez v. Brownco Constr. Co., 56 Cal.4th 1014, 1017, 1025 (2013) with respect to multiple 998 offers; (4) the 998 offers did not have to consider the impact of any outstanding liens on an ultimate recovery (Culbertson v. R.D. Werner Co., Inc., 190 Cal.App.3d 704, 708 (1987)); and (5) the defense did not have to separate out offers to husband and wife given that the personal injury recovery was community property, reaching this result based upon reasoning in Farag v. ArvinMeritor, Inc., 205 Cal.App.4th 372, 382 (2012). Basic Lesson Is That Request Can Be Made After Merits Determination, With No Pre-Merits “Notice Alert” To Arbitrator Being Necessary. Heimlich v. Shivji, Case No. H042641 (6th Dist. May 31, 2017) (published) is a significant appellate decision specifying how a litigant in an arbitration proceeding preserves the ability to obtain recovery of CCP § 998 fees/costs before a merits determination is made by an arbitrator. Client prevailed on the merits in an arbitration compelled by former counsel to collect unpaid attorney’s fees. Six days after the arbitration award, client asked arbitrator to award 998 costs based on a successful offer, but the arbitrator decided he no longer had jurisdiction to award costs. Client renewed the request in post-arbitration confirmation proceedings, but the trial court ruled that client failed to make a timely 998 claim to the arbitrator and denied 998 costs to client. Wisely so, client appealed and won a reversal and chance to garner 998 costs. The remedy for an arbitrator refusing to consider a 998 fee/costs issue, at the post-confirmation trial court level, is to remand to the arbitrator for further determination; if the parties do not consent to a rehearing by the original arbitrator, then the trial court considers the 998 request. Typo In 998 Offer Not Material; Pecuniary Interest Disqualified Attorney From Fees. On April 27, 2017, we posted on Gillotti v. Stewart, a then unpublished Third District decision which found immaterial typo in a CCP § 998 offer and also disqualified fees for an attorney with a pecuniary interest in the case. We can now report that the decision was certified for publication on May 18, 2017. Equity—Gilotti v. Stewart, Case No. C075611 (3d Dist. April 26, 2017) (Unpublished): Section 998 Offer, Typo Notwithstanding Valid, and Attorney’s Self Interest Disqualified Fee Recovery. Sanctions—Maxwell v. Deutsche Bank National Trust Co., Case No. A142562 (1st Dist., Div. 2 April 27, 2017) (Unpublished): 128.7 Sanctions Against Represented Parties Were Appropriate. Represented parties appealed $17,685 in CCP § 128.7 sanctions based on the argument that they only followed the advice of their counsel. The appellate court affirmed the trial judge award because 128.7 sanctions are authorized against represented parties, especially given that a judge warned the represented parties about what they were doing in the action. Special Fee Shifting Statutes—Casas v. City of Baldwin Park, Case No. B275535 (2d Dist., Div. 5 April 27, 2017) (Unpublished): Denial of Further CPRA Fees Was Correct. Here, plaintiff’s counsel in a California Public Records Act (CPRA) case already received about $40,000 in fees, but moved to get more. Both the trial and appellate courts said no way, given that counsel did not properly authenticate billing records to show there was a connection with the CPRA compliance litigation work which was the subject of the additional fee request. Allocation—IV Solutions, Inc. v. Health Net of California, Case No. B268816 (2d Dist., Div. 2 April 27, 2017) (Unpublished): No Allocation Necessary Where Work Inextricably Intertwined. Defendants won a demurrer and judgment on the pleadings based on the statute of limitations, determinations affirmed on appeal on the merits. The defense was awarded contractual attorney’s fees of $78,768, with plaintiff arguing that at least an allocation was needed between contract and other claims. Nope, all of the claims were intertwined. Also, Offer Was Valid For Proposing Dismissal Of Plaintiff’s Action With Prejudice. In Mauzey v. Morschauser, Case Nos. D070681/D070683 (4th Dist., Div. 1 Mar. 3, 2017) (unpublished), a trial judge found a CCP § 998 offer invalid because it was not signed or authorized by offeree’s counsel (apparently counsel’s secretary had signed) and found it was uncertain in proposing that a dismissal with prejudice of the lawsuit be accomplished in return for a waiver of costs. That led to the taxing of the offeree’s expert witness fees request in the costs memorandum. The 4/1 DCA reversed and remanded for a hearing on the expert witness fees, determining the 998 offer was valid. Although the offer was on letterhead and signed by counsel’s secretary, the appellate court found “[s]ection 998 contains no requirement that the offer be authorized or signed by the offeree’s counsel, but as [appellant] points out, it does require that the acceptance be written and ‘shall be signed by counsel for the accepting party ….’ (§ 998, subd. (b).) That the Legislature requires counsel’s signature for acceptance, but not the offer, indicates it intended no such requirement for the offer in the statute.” (Slip Op., at p. 30.) The 998 offer was not conditional in nature, such that the dismissal with prejudice feature did not render it infirm. Defense Ignoring Of Offer And Equitable Estoppel Defense Did Not Prevail. Plaintiff's CCP § 998 offer was found to be invalid by both the lower and appellate courts in Bigler-Engler v. Breg, Inc., Case No. D063556 (4th Dist., Div. 1 Jan. 6, 2017) (partially published; 998 discussion published) based on the failure to include a mandatory "acceptance" line for signature by the defense. Plaintiff argued that the defense ignoring of the offer (ultimately, rejecting it) and equitable estoppel principles dictated another result, but this was found not to alter the conclusion that the 998 offer was invalid in nature by failure to include an acceptance line for signature. Defense Only Said Our Fees Are Only One Third Of The Request, With Trial Court Not Crediting That Retort. In Crowdflower, Inc. v. Asher Insights, Inc., Case No. A143235 (1st Dist., Div. 2 Dec. 29, 2016) (unpublished), new office building owner served a CCP § 998 offer in a contentious lease/retaliation dispute with tenant. The 998 offer reserved the issue of prevailing party status and attorney's fees claims by each side for a postjudgment motion for fees determination before the assigned judge. Tenant accepted the offer, and dueling fees/costs motions ensued. Tenant prevailed and was awarded its full request of $103,680 in fees and $3,144 in costs under a contractual fees clause. The defense appeal was unsuccessful. Both sides agreed that the deferential abuse of discretion review standard was applicable to the prevailing party and "amount of fees" determinations. That concession, correct as it was, sank the defense chances on appeal. On the "prevailing party" issue, the trial judge correctly concluded that plaintiff won on a lease addendum issue by which it retained tenancy in the premises and locked in rents for a 5 year period—these were pragmatically objective litigation achievements by tenant. With respect to the amount of fees, the defense made no specific objection other than "we spent only one third of what you did," with the trial judge confirming this was only counter-salvo in the defense arsenal—a salvo which was rejected. The appellate court had no basis to overturn the lower court granting full fees/costs requests to plaintiff under the record before it. $10,245 Expert Fee Costs Award To One Defendant Reversed, With Appellate Court Noting Split In Intermediate Appellate Thinking But Following Persson and Kahn Over Winston Square Reasoning. Ebert v. Press, Case No. D069615 (4th Dist., Div. 1 Dec. 21, 2016) (unpublished) is a situation where two defendants put forward a joint and several CCP § 998 offer for $20,001, an offer not accepted by the plaintiff. Later, plaintiff lost a dismissal brought by one defendant on the first day of trial but did obtain a jury verdict in her favor to the tune of $60,000 as against the remaining defendant. The dismissed defendant moved for expert witness fees, with the trial court awarding $10,245 in expert costs as against plaintiff, who nevertheless did prevail against the second defendant. This one got reversed as a matter of law. However, the 4/1 acknowledged that there was a split in intermediate appellate thinking on whether the joint offer must beat a result with respect to all multiple defendants. Winston Square Homeowner's Assn. v. Centex West, Inc., 213 Cal.App.3d 282 (1989) did support dismissed defendant's position, while Persson v. Smart Inventions, Inc., 125 Cal.App.4th 1141 (2005) and Kahn v. The Dewey Corp., 240 Cal.App.4th 227 (2015) supported challenging plaintiff's position. The reviewing court in Ebert found Persson and Kahn more persuasive such that the $10,245 expert costs order was overturned because plaintiff did beat the 998 offer in gaining the $60,000 verdict against the second defendant. Court Reporter Costs Were Fine And 998 Offer Was Reasonable, With Losing Plaintiff Failing To Show Abuse Of Discretion In Costs Imposition Award. Seafood vendors, Washington, D.C. Carol M. Highsmith, photographer. 2010. Library of Congress. In Anderson v. Seafood City, Case No. B263925 (2d Dist., Div. 1 Dec. 13, 2016) (unpublished), plaintiff in a disability discrimination case suffered a dismissal based on discovery terminating sanctions. The trial judge later awarded $31,955.68 in costs, mainly deposition reporter and expert witness fees (with the latter based upon a nixed 998 defense offer of $5,000 inclusive of fees and costs). The appellate court affirmed both the challenge to the terminating sanctions and costs orders. Plaintiff failed to surmount the deferential abuse of discretion standard, especially given that his papers below showed little about the strength of his case so as to make a dint in the 998 expense shifting by the lower court. Plaintiff argued first that the court reporter deposition costs were excessive based on the existence of cheaper alternatives, but the fact an alternative reporter would be less costly is not controlling given that the claimed costs were actually incurred/reasonable in nature. As far as the expert witness costs awarded because plaintiff did not beat the $5,000 998 offer, the appellate court concluded that, even though the zero result was from a terminating sanctions order rather than merits adjudicative result, plaintiff failed to present evidence about the strength of his case such that the 998 fee shifting was no abuse of discretion. Plaintiff’s reference to a victory in a different case against different defendants was an irrelevant consideration. Made No Difference That Defense Affirmatively Rejected Rather Than Ignored The Offer. In a very complicated case involving the Polar Care 500 cold therapy device, the 4/1 DCA in Bigler-Engle v. Breg, Inc., Case No. D063556 (4th Dist., Div. 1 Oct. 28, 2016) (partially published; 998 discussion not published) did have occasion to pass on a CCP § 998 issue. Specifically, the lower court granted a defense motion to tax costs when plaintiff moved to recover certain costs based on a successful CCP § 998 offer, albeit one that was determined to be void based on the failure to plaintiff to provide an acceptance line in the offer. That determination held up on appeal, because plaintiff fatally failed to provide an acceptance line. Plaintiff tried to argue that the defense expressly rejected the offer rather than simply ignoring it such that the result should be different. The reviewing court did not buy this distinction, sustaining the lower court’s ruling on the 998 issue. Joint Offer Could Be Assessed, Plus 998 Offer Condition Of Verifying Existence of Insurance Limits Did Not Void The Offer. In Markow v. Rosner, Case Nos. B260715/B262530 (2d Dist., Div. 1 Oct. 4, 2016) (published), husband and wife won an eventual medical malpractice/loss of consortium action against doctor and Cedars-Sinai Medical Center to the tune of $5.2 million, with the award against Cedars reversed on appeal (in a 2-1 vote) but affirmed against the doctor (in a 3-0 vote). Earlier, however, husband and wife jointly served doctor with a 998 offer to compromise their claims for $999,999.99, although the offer did not make any allocation and was conditioned on the accuracy of doctor’s representation that he had only $1 million in insurance coverage for plaintiffs’ claims. Doctor rejected the offer. The lower court determined that the 998 offer was valid and awarded 998 costs to plaintiffs. Doctor’s challenges to the 998 offer were rejected on appeal. The appellate court, which voted 3-0 on this issue, determined that not all joint offers are invalid, especially here given that wife’s consortium loss claims were capped at $250,000 such that the bulk of the offer related to the husband’s claims—the doctor had sufficient risk assessment information to respond to the offer, especially given the ultimate result was $5.2 million. There was no problem in requiring verification of insurance limits because this condition was very straightforward and certain in nature, as recognized earlier in Deocampo v. Ahn, 101 Cal.App.4th 758, 778 (2002). Article Is In September 2016 Edition. • If a plaintiff fails to beat a 998 offer by the defense (factoring in plaintiff’s pre-offer costs and fees), the plaintiff is subject to mandatory penalties, including the obligation to pay the defendant’s post-offer costs and inability to recovery post-offer costs even if plaintiff wins at trial, plus the judge has discretion to order plaintiff to pay defendant’s post-offer expert costs. • If a defendant rejects a plaintiff’s 998 offer (using the same pre-offer calculus above plus plaintiff’s post-offer costs inclusive of authorized fees), the plaintiff is entitled to recovery statutory costs, whether or not the plaintiff is deemed the prevailing party plus a court/arbitrator may order the defense to pay plaintiff’s reasonable post-offer expert fees. • Besides procedural requirements (including providing a means of acceptance), a section 998 offer must be made in good faith and certain/capable of valuation to determine whether the trial recovery is more favorable than the offer. Typically, the offer should (a) be clear; (b) provide that the offer is in exchange for either a dismissal or entry of judgment; (c) not be token or not nominal amount unless plaintiff has a really weak case; (d) not ask for confidentiality provisions or releases outside the lawsuit incapable of valuation; (e) provide adequate time for assessment during the course of the litigation; (f) be clear about fees and costs being included or not; and (g) not conditioned upon the acceptance of the offer by another party. • The defense will typically structure a 998 offer in one of two ways: (1) offer a single, set amount to encompass estimated trial damages and pre-offer fees/costs of plaintiff; (2) serve an “open-ended” offer with a set amount to cover plaintiff’s estimated trial damages and a statement to pay “plaintiff’s reasonable attorney’s fees and costs” as of the date of the offer subject to later court determination. • A 2016 amendment to section 998 leveled the playing field by clarifying that a defendant, like a plaintiff, may recover only post-offer expert witness fees, with lower courts previously also being able to award the defense pre-offer expert fees. • Litigators should not fear serving multiple 998 offers, because allowable costs run from the earlier 998 offer under Martinez v. Brownco Construction Co., 56 Cal.4th 1014 (2013). • Parties can agree to settle without a judgment or motion practice by keeping the 998 offer in place but converting to a settlement agreement with “sweetened” deal aspects. Compensatory/Punitive Award To Winning Plaintiffs Was Only $88,270. This next case illustrates how Code of Civil Procedure section 998 can be a true costs-shifting statute of importance, given that the expert witness fees and other routine costs outstripped the compensatory and punitive damages award to the winning plaintiffs. In Arnold v. Padrah, Case No. A146237 (1st Dist., Div. 5 Aug. 26, 2016) (unpublished), plaintiffs sued to quiet title to a prescriptive easement and for damages caused by defendants destruction of improvements in the claimed easement, while defendants cross-complained for trespass/invasion of privacy. Plaintiffs prevailed, obtaining a $68,270 compensatory award, a $20,000 punitive damages award, and a quiet title decree, while defendants obtained nothing on their cross-complaint. Plaintiffs earlier had served a 998 offer to resolve the cross-complaint by paying $10,000, with each side bearing their own fees and costs—an offer not accepted by defendants/cross-complainants. Plaintiffs then moved for recovery of expert witness fees of $48,438.50 plus other routine costs. The defense brought a motion to tax costs, with the lower court not allowing for discovery referee expenses but awarding in full the expert witness fees and other routine costs to the tune of $112,457.89. Defendants/cross-complainants appealed the costs award, to no avail. The losing side’s primary challenge was that the 998 offer was not made in good faith, but that argument was rejected by the appellate court. First of all, no adequate record was presented for review, because the costs memo, motion to tax costs, and hearing transcript on the motion were not provided. Second, the fact that plaintiffs “defensed” the cross-complaint showed the offer was far from token, especially given the costs waiver which would have mitigated a lot of the costs awarded had the offer been accepted by defendants/cross-complainants. The losing side also argued that the expert witness fees were excessive, but this did not resonate given that the opponents’ experts—an arborist, an appraiser, and a contractor—were necessary to prove plaintiffs’ case and defeat defendants’ cross-complaint. Affirmed. Although Identification Of Releasing Parties Does Not Invalidate An Offer, Inclusion of General Release/Section 1542 Waivers Did Void The Offer. Freight train operations on the Chicago and Northwestern Railroad between Chicago and Clinton, Iowa. The rear brakeman signals the engineer to apply and release the brakes as a test. This is the "release" sign. January 1943. Jack Delano, photographer. Library of Congress. Ignacio v. Caracciolo, Case No. B266930 (2d Dist., Div. 8 Aug. 3, 2016) (published) involved a personal injury case where defendant made a CCP § 998 offer which was rejected by the plaintiff, who subsequently recovered only $70,000 after a comparative negligence reduction brought the judgment below the prior 998 offer. Defendant then moved to tax plaintiff’s routine costs and moved to obtain certain costs/expenses based on the theory defendant prevailed based on the 998 offer. The trial court denied the motion to tax most of plaintiff’s costs and denied the defense costs request after determining the 998 offer was invalid, a determination affirmed by the appellate court. The problem was that the 998 offer did contemplate a release, but the release supplied by the defense was too “general” in nature by encompassing release of claims beyond those involved in the lawsuit. Here is what the offending language said as far as the scope of the release: “… from any and all claims, demands, liens, agreements, contracts, covenants, actions, suits, causes of action, obligations, controversies, debts, costs, expenses, damages, judgments, orders, and liabilities of whatever kind and nature in law, equity, or otherwise, whether now known or unknown, suspected or unsuspected, that have existed or may have existed or which do exist, or which hereinafter can, shall or may exist, including but without, in any respect, limiting the generality of the foregoing, any and all claims that were, or might, or could have been alleged in connection with an accident that occurred on or about April 10, 2013, and are the subject of the lawsuit entitled Ignacio v. Caracciolo, filed in the Los Angeles Superior Court, bearing case number BC511878 (‘Lawsuit’).” The reviewing court determined that identification of releasing parties, including boilerplate language inclusive of affiliates, administrators, heirs, etc., did not invalidate the offer. However, the stumbling point was the broad “general” release language which was not just targeted to the “including” clause which was limited more narrowly to the personal injury claims. This broad language, coupled with a Civil Code section 1542 waiver, sealed the deal from the 2/8 DCA panel as far as sustaining the invalidity determination of the lower court. Procedural, Bad Faith 998 Offer, And Late-Filed Motion To Tax Costs Arguments Rebuffed On Appeal. In Dinh v. Lejano, Case No. H041828 (6th Dist. May 31, 2016) (unpublished), plaintiff won $12,000 in a personal injury case, obtaining a jury verdict for past medical expenses but not subsequent treatments/pain and suffering. The jury also found 50% negligence by plaintiff, further reducing the judgment to $6,000. The lower court awarded certain costs to the defense under a CCP § 998 offer, which took the judgment down to $2,225.04. Plaintiff’s challenges to the result were not persuasive on appeal. Because the 998 offer did have an acceptance line above counsel’s signature, this did satisfy the mandatory requirements requiring an acceptance component. The defense offer of $18,000 was in good faith, given the results in the case and given that it was a “narrow spread” between plaintiff’s own $23,000 pre-trial offer to settle. Finally, the lower court did not err in allowing the defense to file late papers to challenge plaintiff’s claim to costs, although indicating this is a discretionary call not designed to diminish the importance of procedural deadlines—with a strong signal that procedural deadlines should be enforced depending on the case circumstances. Setoff Language Of CCP § 877 Also Supported Result. Tuttle v. Ukiah Adventist Hospital, Case No. A144759 (1st Dist., Div. 1 May 31, 2016) (unpublished) was an uncontested slip-and-fall case from a liability perspective, with plaintiffs obtaining several pre-trial settlements but eventually winning a jury verdict as to one non-settling defendant, with set-off “credits” for the settlements obtained from the prior settling defendants. Plaintiffs, however, principally came up with a very novel argument on appeal that the settlement set-offs should be reduced further based on the attorney’s fees that they obtained as a mutual benefit for plaintiffs and the defense, making an analogy to a common fund argument as to why this could occur. Lots Of Monetary Awards Were Requested By The Defense, But Nixed. 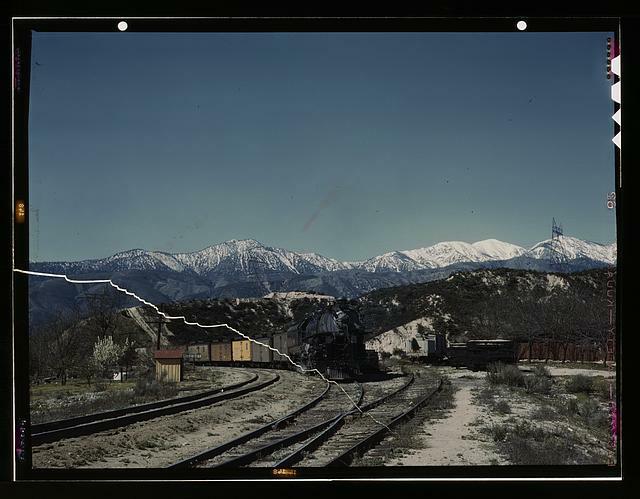 Above: East bound Union Pacific railroad freight train waiting in a siding, Alray, Calif. Coming up through Cajon Pass. March, 1943. Jack Delano, photographer. Library of Congress. Ammari v. Union Pacific Railroad, Case No. G052290 (4th Dist., Div. 3 Apr. 28, 2016) (unpublished), a 3-0 panel decision authored by Acting Presiding Justice Rylaarsdam, contains some good reminders that CCP § 998 offers may be in peril if made too early in litigation and that costs-of-proof sanctions for RFA denials must actually deal with matters proven at trial/calibrated to the fees and expenses actually incurred for specific denials (as opposed to requesting an award of all fees and expenses incurred in the defense of a case). What happened in this matter was that a railroad defendant defensed plaintiffs’ negligence claims in a freight train-SUV collision case. The jury simply answered a special verdict “no” on whether defendant was negligent—a verdict which was upheld on appeal. Later, the lower court refused to award defendant $123,000 in expert witness fees after plaintiffs rejected a $25,000 § 998 offer or to award $333,000 in attorney’s fees/$123,000 in expert witness fees for purported bad faith denials of requests for admissions (pursuant to the CCP § 2033.420’s costs-of-proof sanctions). Railroad’s cross-appeal was unsuccessful in changing these post-trial rulings. Costs-of-Proof Sanctions Ruling. This ruling was correct for three reasons: (1) plaintiffs reasonably denied causation RFAs even though unreasonably denying blood alcohol contents RFAs; (2) defendant failed to demonstrate that it proved decedents were at fault during trial given the general “no negligence” conclusion by jurors; and (3) defendants never requested fees and expenses specifically pinpointed to the particular RFA denials, instead asking in overbroad fashion for all defense attorney’s fees and expert witness fees. Matter Remanded To Reconsider Routine Costs Awardable To Plaintiff. Sanford v. Rasnick, Case No. A145704 (1st Dist., Div. 2 Apr. 25, 2016) (published) involved a situation where plaintiff motorcyclist sued defendants owner/driver of a car. Defendants made a joint, unapportioned pretrial CCP § 998 offer of $130,000, but plaintiff recovered less after various offsets and pre-offer costs were factored into the equation. However, the trial judge awarded certain expert witness fees and costs to the defense based on the conclusion the 998 offer was valid and also disallowed certain routine costs to plaintiff as the prevailing party. Both of the post-trial rulings were reversed on appeal. As far as the award of expert and other costs to the defense was concerned, that went away because the 998 offer was invalid. Although asking for narrow releases relating to the case was within the proper ambit of 998, the defense request for a settlement agreement—with undefined, unexplained terms—was too broad in nature, leaving the plaintiff at having to guess about what was being asked for. The lower court’s deletion of mediation fees/expenses from the costs award to plaintiff was error because these are costs that can be awarded in the discretion of the court. However, the lower court never exercised its discretion because of the belief that mediation fees/expenses were not compensable, meaning a remand was necessary so discretion actually could be exercised one way or the other. This Is A Change From Prior Law. Toste v. CalPortland Construction, Case No. B256946 (2d Dist., Div. 6 Mar. 2, 2016) (published) is an important 2016 decision construing an important 2015 amendment to Code of Civil Procedure section 998, the section relating to pretrial offers to compromise. The most post-worthy portion of the decision considers a 2015 amendment to CCP § 998. Before the amendment (effective January 1, 2016), there was an imbalance on the award of preoffer expert witness fees with respect to pretrial offers to compromise under section 998. Specifically, a plaintiff could not recover preoffer expert witness fees, but only postoffer expert witness fees when a defendant unsuccessfully rejected a 998 offer. However, a defendant could be awarded preoffer expert witness fees under 998 within the trial judge’s discretion. (Regency Outdoor Advertising, Inc. v. City of Los Angeles, 39 Cal.4th 507, 533 n. 13 (2006).) However, A.B. 1141, effective January 1, 2016, sought to equalize the costs by clarifying that plaintiff was only exposed to 998 expert witness costs “that arose postoffer.” In Toste, the 2/6 DCA, in an opinion authored by Justice Yegan, concluded that this amendment applied to cases pending on appeal such as the matter under consideration, remanding a costs award in favor of two defendants for further consideration. However, there are other “take aways” from this decision. First, a 998 offer providing for payment of money in exchange for a dismissal of the action is the equivalent of a “judgment” for 998 statutory purposes—a valid offer. Second, a defendant may condition a 998 on the plaintiff’s dismissal and a general release. Third, a 998 offer cannot condition the offer on the approval of a good faith settlement motion. Fourth, a 998 offer requiring that a plaintiff to release and discharge parties and their insurance carriers from all claims set forth in the complaint was valid. Fourth, a 998 offer providing for payment in exchange for a release as to a named party, as well as related entities and individuals, was not infirm in nature. No Need to Provide Declarations From Expert Witness Fee In Support Of Expense Request Under CCP § 998. What happened in Nations Title Co. of Calif. v. Security Union Title Ins. Co, Case Nos. B250490/B253840 (2d Dist., Div. 3 Jan. 25, 2016) (unpublished), was that defendants won a jury verdict on a breach of fiduciary duty and intentional interference with prospective relations claims. The trial judge denied fee recovery to the defense based on Civil Code section 1717 and California’s Uniform Trade Secret Act (Civil Code section 3426.4), as well as denying significant expert witness fees under CCP § 998. The denial of fees was affirmed, but the denial of expert witness fees was reversed. Section 1717 fees were properly denied because the fees clause only related to arbitration, which was not the adjudicative venue. CUTSA fees were properly denied because there was no evidence that plaintiff had a reasonable belief that the claim was other than meritorious, such that the subjective prong of fee recovery was not satisfied. However, on the 998 expert witness cost-shifting issue, the trial judge denied expert witness fees based on the lack of substantiating evidence from the expert versus counsel’s declaration on expert witness fees. The appellate court found that wholesale denial on this basis was prejudicial, with counsel’s proof being enough under the circumstances. Waiver of Costs Offer Not Reasonable Given Plaintiffs Had Severe Injuries and Expert Witness Discovery Had Not Even Commenced. In order for offers under CCP § 998 to be held reasonable and in good faith, timing is everything – offerors need to make 998 offers at a juncture of the case where both sides have enough meaningful information to assess those offers. County, the 998 offeror, violated this timing principle and was found to not have made a reasonable offer in Reuser v. County of Humboldt, Case No. A142633 (1st Dist., Div. 2 Jan. 15, 2016) (unpublished). There, four motorcycle drivers sued County for maintaining a dangerous condition of public property after the drivers crashed their cycles while riding together on a hilly road, with all being severely injured. The facts of the case showed a CHP officer criticized the roadway as being in a dangerous condition, but also criticized three of the plaintiffs for driving too fast. There had been an absence of past accidents. Before commencement of expert discovery on the dangerous condition issue, County made separate 998 offers to each plaintiff seeking a with prejudice dismissal of each person’s case in return for a waiver of costs by County. The offers were either rejected or not responded to. A jury returned a defense verdict against all four plaintiffs, leading the trial judge to assess $12,028.33 in expert witness fees incurred by County as against all plaintiffs jointly and severally. Plaintiffs appealed the 998 cost-shifting awards with respect to the expert witness fees. Although finding the failure to apportion the expert witness fees was no abuse of discretion, the First District, Division 2 Court of Appeal reversed the expert witness fee awards against plaintiffs. The reason for the reversal was that it was not reasonable for Plaintiffs to accept the 998 offers at the time they were made. They had suffered severe injuries, and the law in the dangerous property condition area also holds that negligence by the plaintiff (such as driving too fast) does not necessarily defeat his cause of action and the absence of past accidents is not dispositive of whether the County maintained a dangerous condition of public property. Coupled with the fact that expert discovery had not commenced (even though County’s experts opined that the crash site was not dangerous), it was not reasonable to assume plaintiffs would accept offers which returned them no positive money in their suits. Confusion Amok – But Fee and Expert Witness Fee Recovery Awaited Subsequent Determinations. JMR Construction Corp. v. Environmental Assessment and Remediation Mgt., Inc., Case No. H039055 (6th Dist. Dec. 30, 2015) (partially published; fee and expert witness fee discussions not published) just goes to show you that fee and 998 recoveries will not have final status until there is a true order fixing fees, which may determine whether the 998 award is also proper. Bear with us for a bit. General contractor did recover against subcontractor/subcontractor’s surety on a public works construction dispute, even though defensing a cross-complaint by the opponents. The trial court decided general contractor was entitled to Civil Code section 1717 contractual fees for defending the cross-complaint in an unfixed amount and CCP § 998 expert witness fees in the amount of $90,644.07 based on the math that general contractor recovered $315,631 plus unspecified attorney’s fees which exceeded pretrial offers of $375,000. Subcontractor/its surety appealed. They lost the compensatory damages challenges, but did win (somewhat) on the fee and 998 awards. The trial judge did not fix any amount of attorney’s fees awardable to general contractor, such that there was nothing to review. However, this did have significance on the review of the 998 order—without a fixing of the fees, it was impossible to determine if the judgment was truly more favorable to general contractor so as to justify the expert witness fee award (resulting in a reversal). There, you go, bitter sweet in many ways—with subsequent events determining where this case will end up. Substantial Expert Witness Costs Can Be Shifted Under CCP § 998. In Sanchez v. Scripps Health, Case No. D066005 (4th Dist., Div. 1 Dec. 8, 2015) (unpublished), plaintiffs lost a medical malpractice case, with defendant awarded over $250,000 in disputed expert witness fees based on plaintiffs’ rejection of two CCP § 998 offers. That determination was affirmed on appeal. No abuse of discretion in the costs-shifting award was demonstrated upon review. The court of appeal observed that a defense offer to waive costs in return for a case dismissal can have significant value, given that the defense costs memorandum for expert witness fees was over $287,000 and can frequently be in expert-driven matters. Here, the second 998 costs waiver offer was made two years into the case after the defense had designated seven retained and some dozen of unretained experts. The offers were not made in bad faith, as the defense verdict presumptively demonstrated. So, in affirming, there is a message for plaintiffs and their counsel in cases which are expert intensive: carefully evaluate the offers even those that you may consider to be “token” 998 offers; if you lose, you would wish you gave hard study to these offers to compromise. Even a Modest 998 Offer Is Sustainable If Defense Is Strong. Welch v. Kemp, Case No. H041311 (6th Dist. Nov. 23, 2015) (unpublished) is a situation where a defendant attorney won a legal malpractice action against plaintiff ex-client, after having denied liability throughout the case and after plaintiff rejected a 998 offer to have the defense waive costs if she dismissed the lawsuit. The trial court then awarded all of the claimed costs of $19,067.87 ($15,520 of which were expert witness fees, because expert witness testimony is par for the course in most legal malpractice cases on many issues but especially the standard of care substantive element). Section 998 Offer Was Reasonable And Expert Fees Did Not Have To Be Tied To Issue Eventually Won. In Melendrez v. Ameron International Corp., Case Nos. B256928/B259423 (2d Dist., Div. 4 Sept. 17, 2015) (published), defendant won an asbestos suit against plaintiffs in a wrongful death suit based on the workers’ compensation exclusivity rule even though the deceased worker claimed he was exposed to asbestos while working on pipes at home instead. The defense moved for recovery of expert witness fees based on plaintiffs’ rejection of a CCP § 998 offer for a defense waiver of costs/fees in return for a case dismissal. The lower court awarded $80,719 out of a requested $130,334 in expert witness fees. The expert witness fee award against plaintiffs and in favor of the defense was affirmed on appeal. Despite argument that the 998 offer was unreasonable given the millions in damages sought in an asbestos exposure case, the 2/4 DCA determined that plaintiffs did not meet their burden of showing the offer was unreasonable given that a judgment more favorable than the result is presumptively reasonable. The lower court evaluates not only the offer to the amount of damages sought, but also critically focuses on the plaintiff’s likelihood of prevailing. The reviewing court rejected the notion that the plaintiff had to have advance notice of the amount of expert fees involved, citing Regency Outdoor Advertising, Inc. v. City of Los Angeles, 39 Cal.4th 507, 532 (2006) in support of its reasoning. The zero dollar 998 offer was reasonable given the workers’ compensation exclusivity defense of an all-or-nothing nature. The second challenge was that the award was not for expert witness fees but for abatement expenses unrelated to the workers’ compensation exclusivity ruling. The appellate court disagreed. The fees were incurred to advance the defense theory that decedent/worker’s exposure to asbestos at home was minimal in nature with respect to the causation defense. The appellate court also rejected the proposition that expert witness fees were not properly awardable under section 998 even though incurred on an issue not ultimately won by the defense. Also, Service Of Judgment Electronically Extended The Time To File/Serve Costs Memorandum. In a very detailed published decision, the Second District, Division 3 confronted two issues: (1) whether a costs memorandum filed 17 days after electronic service of a notice of entry of judgment was timely, and (2) whether some dismissed defendants in a multiple-defendant personal injury suit against a sole plaintiff where all defendants made a joint 998 offer must await the resolution for all defendants in order to recover 998 fee-shifting costs. The answer to both questions was “yes” in Kahn v. The Dewey Group, Case No B259679 (2d Dist., Div. 3 Sept. 8, 2015) (published). The salient facts, as briefly as we can summarize, are that plaintiff sued 20 defendants for joint and several liability for personal injury from property environmental contamination, that all 20 defendants made a joint 998 offer for $75,000 which was not accepted by plaintiff, that the lower court granted a nonsuit as to 14 of 20 defendants, that the case went to trial on the remaining 6 defendants (resulting in a mistrial, with another trial pending), that the 14 defendants sought 14/20ths of expert witness fees (a little over $206,000) against plaintiff as prevailing 998 parties, and that the lower court awarded the 14 defendants the requested expert witness fees. The 2/3 DCA, in an opinion authored by Presiding Justice Edmon, reversed and found the 998 expert fee-shifting ruling was premature. The first issue was a procedural one, namely, whether the 14 defendants timely filed a costs memorandum 17 days after receiving notice of entry of judgment electronically. The reviewing court said CCP § 1010.6(a)(4), just like mail service (Nevis Homes LLC v. CW Roofing, Inc., 216 Cal.App.4th 353, 357 (2013)), did extend the costs memorandum filing/service time, and it did not matter that the extension ran in favor of the costs claimant. The second issue was more complex, with the appellate panel surveying various opinions—categorizing them into the “absolute prevailing party” approach (which would have favored the 14 defendants and would have sustained the trial judge’s ruling) and the “comparison” approach (where one has to look at the ultimate judgment against all defendants, which would favor plaintiff’s position). The 2/3 DCA adopted the “comparison” approach, after determining that defendants making a joint 998 offer should have to await the ultimate result in the case in order to avoid “lowball” joint offers. And, there was a counseling point for defendants involved in multiple-defendant/single-plaintiff cases, you can make your own separate 998 offer if you do not want to be included among the defendant “group.” So, the fee shifting award was reversed as premature, to await what happens in the trial as to the other 6 defendants. Section 998 Inapplicable In Probate Proceeding. In a dispute involving the reformation of the terms of a “tontine” or survivalist partnership agreement, a probate estate was denied “costs-of-proof” attorney’s fees under Code of Civil Procedure section 2033.420 and had stricken its memorandum seeking post-remand costs based on Code of Civil Procedure section 998 and Probate Code section 1002. Those determinations were affirmed on appeal in Estate of Silveira, Case Nos. A141310/A141421 (1st Dist., Div. 3 Aug. 31, 2015) (unpublished). Estate served the trustee with two pre-hearing offers to compromise, neither of which was accepted. Estate then moved to recover over $88,300 in costs and expert witness fees, prompting a motion to tax costs from trustee under CCP § 998, a ruling also sustained by the appellate court. Initially, it agreed that Probate Code section 1002, which authorizes the lower court in its discretion to impose costs “as justice may require,” trumps the mandatory language of CCP § 998—citing an analogous family law case. (In re Marriage of Green, 213 Cal.App.3d 14, 24 (1989).) Beyond that, the lower court’s conclusion that the overall results of the litigation were “mixed,” requiring each side to bear its own costs, constituted no abuse of discretion. Trivia: The antic movie The Wrong Box, with a cast that included Peter Sellers, Michael Caine, Dudley Moore, and other wonderful English actors, involved the last survivors of a tontine fighting over the fortune. The movie is based on a comic novel by Robert Louis Stevenson and Lloyd Osbourne.